We worry a lot about having pecks of steel, but ever think about how to make sure your brain stays sharp? There are a lot of different things you can do to exercise your mind and preserve your brain function. Here are some ways to keep your brain healthy from now until you are old and gray. Those at risk for heart disease tend to score lower on cognitive tests. All of the factors that lead you to have an unhealthy heart also will cause you to have a slower mind. Heart health mostly comes down to lifestyle choices like diet, smoking, drinking, stress, and activity levels. Read on to see what lifestyle changes you should be making that will benefit both your heart and mind. To maintain cognitive ability omega-3s are key, not only for your heart, but to preserve the memory function in your brain. Omega-3s build up cell membranes, reduce brain inflammation and promote new brain cell formation. Watching too much television when you get home from work or just playing on your smart phone every morning at breakfast? Pick up a book, newspaper, or magazine and start reading. Developing your ability to concentrate and maintaining it helps keep your brain in shape. 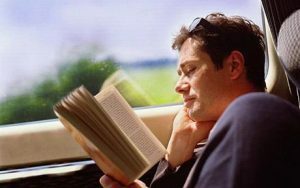 Mix up what you read and try to challenge yourself to read for different lengths of time or different amounts per week. Alcohol has long-term damaging effects on the brain’s pathways. It negatively affects memory, motor skills, and impulse control. Thiamine deficiency may also be a direct result of alcohol or from depressed liver function. Thiamine is an essential nutrient that maintains brain tissues. Pumping up your heart rate is one of the best thigns you can do to preserve brain function. Aerobic exercise will help to keep your brain properly oxygenated. Exercising helps to get more blood and more nutrients to the brain to prevent it from losing mass over time. Stress can be incredibly disruptive to the cognitive process that our brains go through. Stress is bad for your health all together. Getting the proper amount of sleep is also crucial to your gray matter. Sleeping makes your brain better at synthesizing large amounts of complex information.